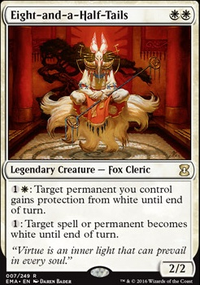 Can Rune-Tail, Kitsune Ascendant be a commander? When you have 30 or more life, flip Rune-Tail, Kitsune Ascendant. epajula -- Hey there! Lots of ideas here. 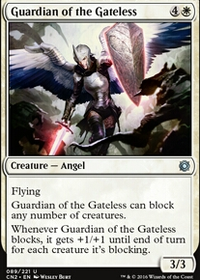 I have a few of them either in my deck or side/maybeboarded. I ordered a Comeuppance and Marshal's Anthem. They certainly seem like they could be good fits depending on what I'm playing against. Metachemist -- Hello! Altar of Dementia seems like it could be a lot of fun. So much so I ran and got one and slotted it in right away lol. Looking forward to trying it out! Thanks much for the recommendation! ANemoAcids -- Heya! Rune-Tail, Kitsune Ascendant looks quite interesting. 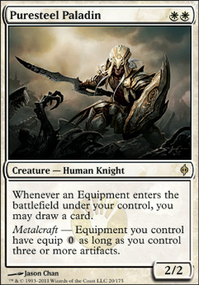 I change cards fairly often in my deck (I always update my tappedout list when I do) and one iteration focuses heavily on life gain. I think I could find a slot for this in that variance so I ordered one! Thank you for the idea! 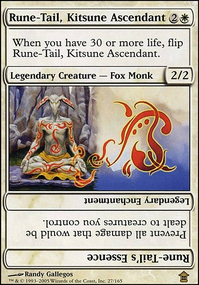 If you rarely find yourself dropping below 30 life with all that lifegain, in a tokens deck Rune-Tail, Kitsune Ascendant is an excellent add. 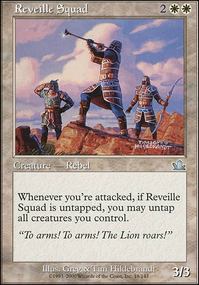 Rune-Tail, Kitsune Ascendant I run this as my commander for mono-white angels, as it provides an excellent damage buffer for you early on. 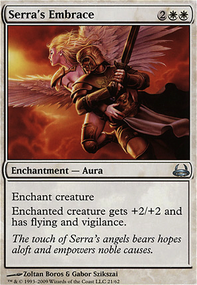 Serra's Guardian Gives the field Vigilance. What's wrong with that? Concerted Effort + Pristine Angel Did anyone say buff spreading? 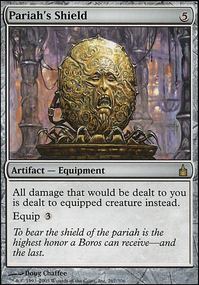 Urza's Ruinous Blast might be an okay panic button to side board. Helm of the Host Do I need to explain the power here? 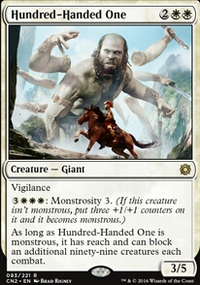 It would be worth while for you to look into anti-aggro/burn decks in modern, vintage, or legacy. 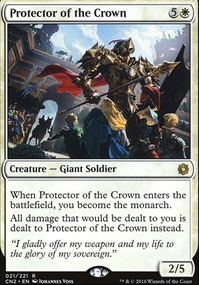 The way you are playing is almost closer to those formats than it is to commander. The difference between starting with 20 life and 40 life is huge. 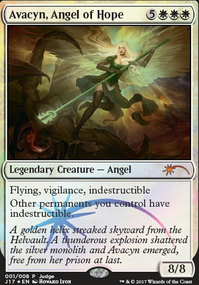 You could try to out aggro them with Najeela, the Blade-Blossom. 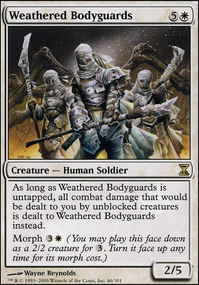 With the low cost warriors this deck could be similar to Edgar Markov which is banned in 1v1 I think... Emmara, Soul of the Accord is another that goes wide so quickly she is really hard to keep up with. 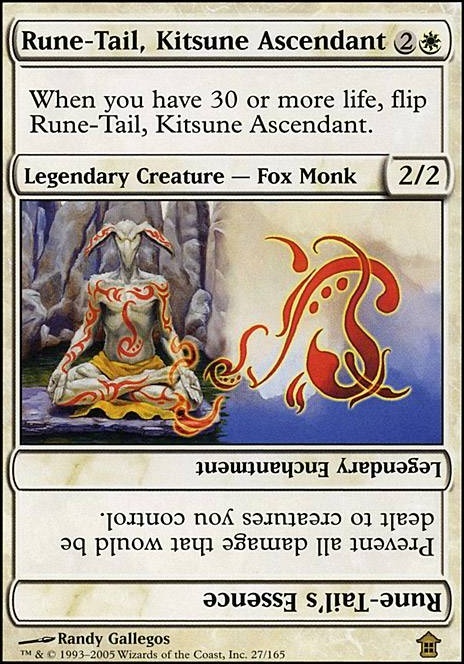 Eight-and-a-Half-Tails and Rune-Tail, Kitsune Ascendant are great answers to burn. Maybe the new Tajic, Legion's Edge? 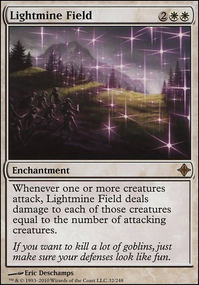 Something of note is that red has an incredibly difficult time dealing with enchantments and the vast majority of their removal for creatures is damage. 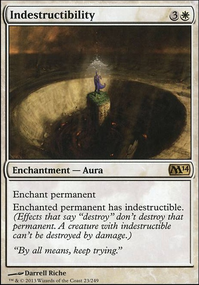 So if you can prevent damage or gain life consistently and keep drawing cards you should simply out value them. Red has major weaknesses and you should exploit them. @enpc - paying life is still viable. 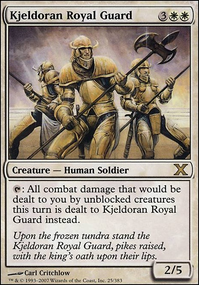 EDH decks may run Tarnished Citadel, but largely due to the initial staring life of 40. 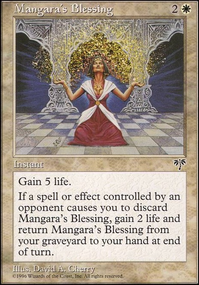 Would you pay 6 life for the same effect in EDH? The problem really does sound silly when said out loud - after all, any new format would suffer from this "problem". 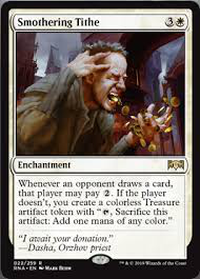 But consider cards that specificy an absolute life total, rather than a % difference or total change in life total; the difference between "if you have 30 or more life" and "if your life total is 10 or more than your starting life total" may not sound like much, but just look at the cash price of Serra Ascendant or Rune-Tail, Kitsune Ascendant. 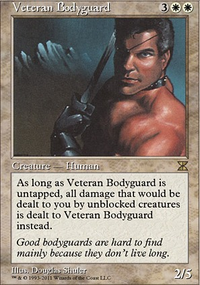 the better solotion would be to have a blanket statement for EDH that alters how life total dependant cards work. be it "less than half of their starting life", or "with at least 10 life lower than their starting life", the zendikar vampires would suddently be playable, while Sorin Markov would stop being an overwhelming powerhouse.